Galway triumph in hurling ” game of the year” to date. 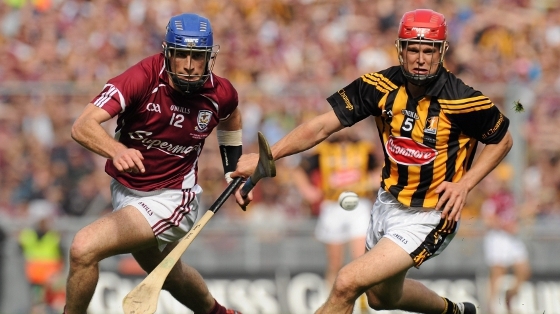 On what was one of the most exciting, skilful and dramatic games of hurling ever played Galway won their way to the All-Ireland hurling final against Kilkenny by a single point scored in the 3rd minute of injury time by substitute Shane Maloney. In a game where Tipperary full forward Seamus Callinan scored 3-9 and still ended up on the loosing side, Galway were the better team but Callinans goals kept Tipperary in the lead for long spells of the game. Galway scored 0-26 pts. some of which were outstanding points with the Galway forwards striking the hurling ball with great accuracy. Joe Canning, 10 pts. Jason Flynn and Cathal Mannion 5 pts. each accounted for 20 of Galway s pts. Both goalkeepers brought off some spectacular saves also, deflecting the sliotar out for 65s from point blank shots. There was a total of 45 scores in 70 mins, what other game would produce this much entertainment and skill in 70 mins. If Galway can reproduce this display they will be very hard to beat in the All-Ireland final.